If you work near the Capitol and smell the alluring aroma of batter, sugar, and toasty goodness, you can thank Brad Barzoloski for that. The restaurateur, who owns both Luncheonette spots, opened a new venture downtown on East Main Street at the beginning of September and it only serves one dish: waffles. You can walk into Capitol Waffle Shop any time of day through the week and build your own waffle with a variety of toppings and flavors for only $4. “I wanted to open up a specialty food shop and I’d been kinda looking around for a building and the Financial District doesn’t seem to have much specialty food or anything that’s really different so that’s what I decided on,” Barzoloski explained. The space has been home to Sugar Shack, a coffee shop, and a few others, but remained vacant for the last year. Every time Barzoloski would pass it, it would get his gears turning. “I know other businesses haven’t been successful in that building, but I kind of like trying something different,” he reasoned. And for those who’ve yet to venture into Capitol Waffle Shop, it’s not just your run of the mill place selling waffles slathered with butter and syrup. Of course, you can get those toppings, but Barzoloski wanted to shake it up a little, so the shop sells sweet and savory waffles as well as a combination of the two. “There’s plenty of things you can do with waffles, not only can you do different toppings, but you can do different batters, rosemary waffles, a pretzel waffle, a red velvet waffle, pineapple upside down…,” he listed. His shop boasts a regular menu of 20 waffles and the plan is to expand to 40 soon. In addition to waffles, Capitol Waffle Shop offers homemade dessert and local coffee blends from Black Hand, Ironclad, and Rostov’s. The Luncheonette owner, which has locations in Shockoe Bottom and Northside, has never dabbled in waffles before, but so far the concept seems to have taken off. “This is a concept I really enjoy and the staff really enjoys and I plan to move forward with it, more of these specialty shops in other areas,” he said. And if the above isn’t enough for you foodies out there, Barzoloski is already churning out another idea which he plans to unveil soon. Ice cream made by an employee from his Northside Luncheonette spot who is opening their own ice cream shop, will soon show up on the menu. “Waffles topped with ice cream and then whatever toppings people want. We’re looking to roll out a whole dessert thing too for night-time,” he said. The shop is open Monday through Friday from 9 to 5 pm, but the owner said he plans to expand to weened hours soon. You’ve seen them at farmers markets. You’ve seen them at Union Market and Roaring Pines. You’ve probably even ordered some online. If you’re super into them, you’ve probably become a member of the club. Well, for those of you who haven’t tasted Nate’s Bagels, you’re in for a treat. 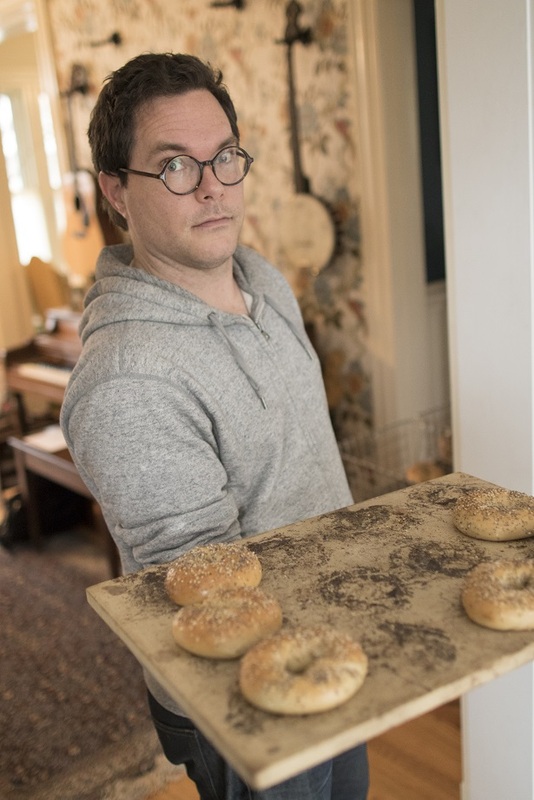 The first bagel subscription service and pop up shop to launch in Richmond will have a home of its own by next year. Nate Mathews, who launched his bagel startup in May 2016, has been looking for a place to settle into from the very beginning. 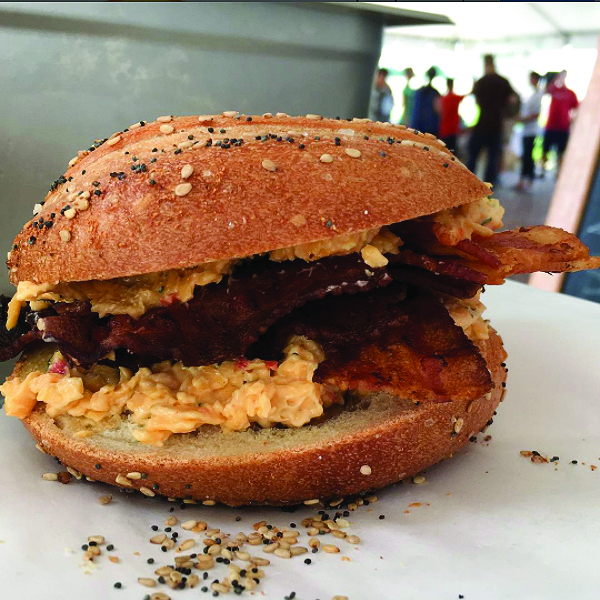 And while the subscription service is no longer available, people can still pre-order bagels through the website and most of the business now comes through regular pop-ups around town serving breakfast sandwiches and bagels in large quantities. “We have three throughout the week where you can buy bagels in bulk,” he detailed. Mathews has pop-ups at Byrd House Farmers Market and Randolph Community Center on Tuesdays, Thursdays, and Fridays at Roaring Pines in Church Hill, and The Veil Brewing Co. the second and fourth Fridays of every month, as well as Union Market and Outpost. “When we serve sandwiches, we serve about 40 to 50 customers and [at] the Farmers Market, we usually sell about 100 bagels,“ he said. In addition to bagels, the shop will have eight cream cheeses including scallion, olive, plain, and veggie, along with breakfast sandwiches and lunch options that include lox, whitefish salad, and pastrami. Also available is coffee from Blanchard’s as well as out of town rotating blends, Nitro cold brew, Kombucha, and a line of house-made sodas. Mathews even said he has plans to work with a local brewery to sell a beer-boiled bagel. Mathews said he plans to offer discounts to VCU students, those who bike to the shop, and local musicians. If you are all three, do you get a triple discount? That remains to be seen. Once the shop gets up and running, the plan is to expand with a catering service offering sandwich platters for parties and events. Online ordering for pickup and delivery will still be an option, but expect to see less of the pop-ups once Mathews opens his shop. Look for Nate’s Bagels soft opening sometime in the winter and an official opening sometime in the spring. 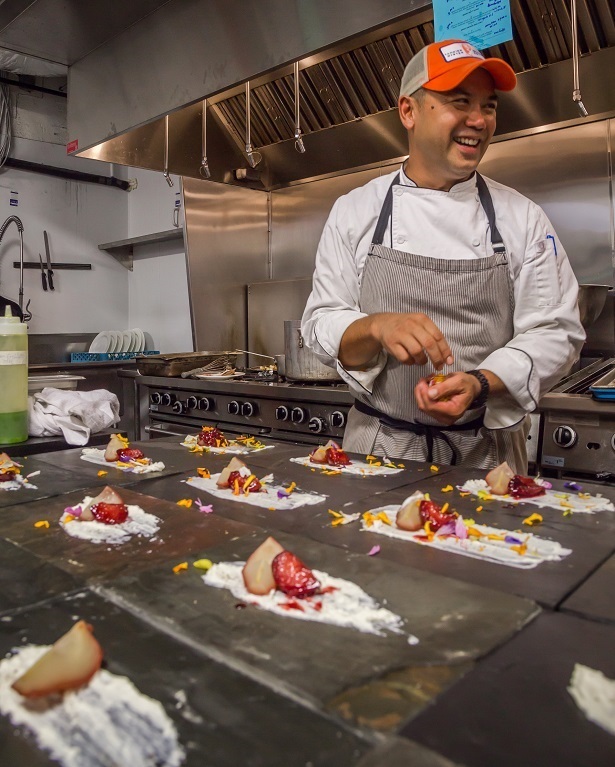 He may have managed to fly under the radar in Richmond’s culinary scene, but Chef Mike Ledesma’s resume is quite impressive. 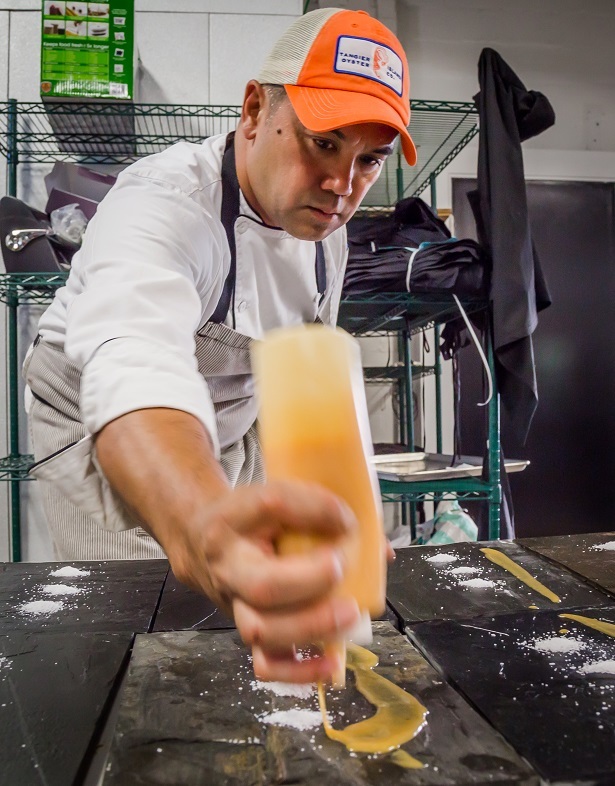 With 16 years in the industry, the chef has worked his way up through tough apprenticeships and fine dining, to developing menus for six restaurants in the Richmond Restaurant Group. Now, he’s multi-tasking at the helm of Kabana Rooftop, hosting pop-up dinners at Belle & James, and will soon open his own venture. RVA Magazine recently caught up with the busy, but laid back and sweet chef to get his backstory and find out why he decided to make Richmond home. “I thought I could have a career as a cook in Richmond. I didn’t know the direction it was going to be,” he began. The chef has lived and worked all over. Born in Brooklyn, Ledesma grew up in Annapolis and worked in finance in Baltimore for six years. Around 2000, he moved to Hawaii to contemplate his next move. He worked for the Bank Of Hawaii and Morgan Stanley before growing tired of the corporate grind and daily 9 to 5. Like so many other late starts, he decided it was time for a change, and entered an entirely different field. And so that’s what he did. He went to work at luxury resort The Greenbrier in West Virginia, cooking 20 hours a day alongside 150 chefs to hone his craft. “You would work service, and then you would have to go into cooking competitions,” he recounted. After the Greenbrier, he worked stints at the Baltimore Country Club, The Belmont, and the Woodberry Kitchen, sometimes as a sous chef, before finally deciding it was time to make his next move. “I just got tired,” he reasoned. “I wanted a change of pace. After being in Maryland, I didn’t want to cook there anymore, I was kind of feeling unmotivated,” he said. He drove around Maryland, Northern Virginia and other places in the states close by in search of his next gig. Finally, Richmond Restaurant Group found Ledesma on Craigslist, which would build and grow his reputation in the foodie-obsessed city more than he predicted. 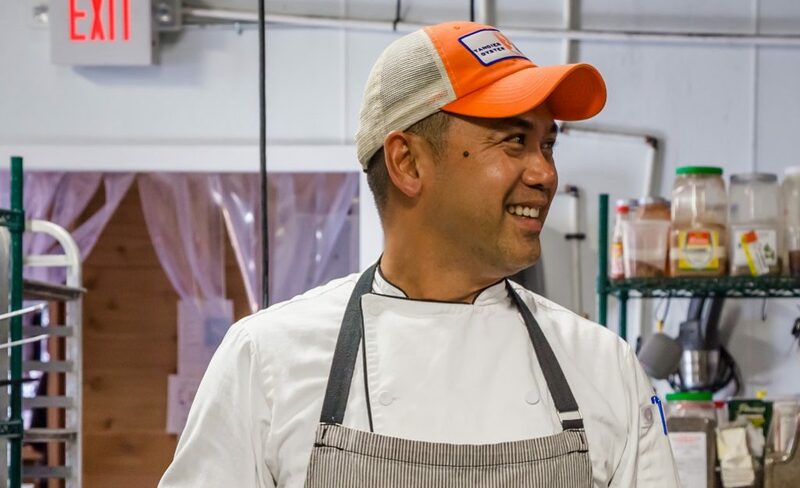 Coming on as Corporate Executive Chef, Ledesma opened the second Hard Shell location in the Bellgrade Shopping Center in Midlothian, and from there, he went to work as a chef at Max’s On Broad, focusing on French and Belgian fare, followed by the relaunch of Patina Restaurant and Bar in 2014. Yearning to come back to the city, the chef joined RRG again in 2015. “I wanted to try to make a difference and figured I could do it with multiple restaurants,” he thought. 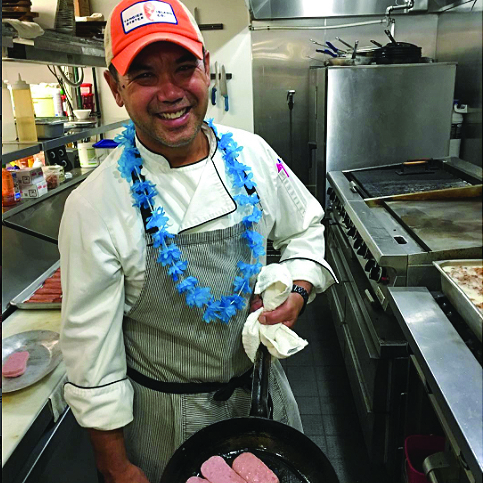 And the group, which owns East Coast Provisions, The Daily Kitchen & Bar, Pearl Raw Bar, and The Hill Café, gave Ledesma free reign, for the most part, to develop menus for each place for two years. 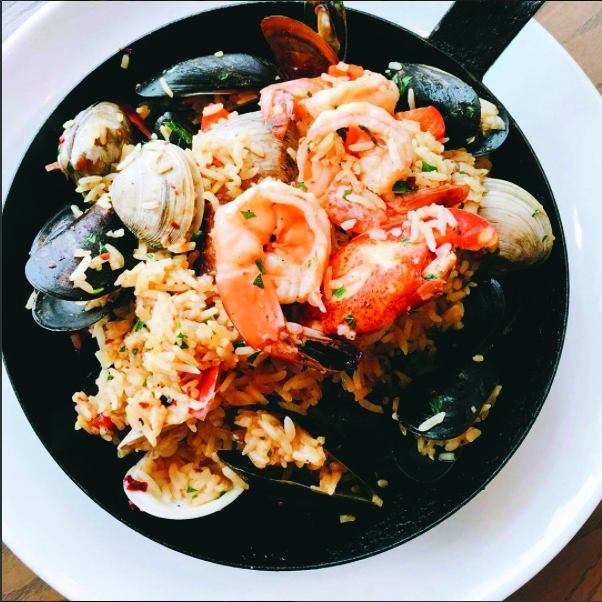 With a strong background in Asian foods, Ledesma said he tends to gravitate towards that, but also his time spent in West Virginia creeps into his style when creating dishes. When it comes to a menu already in place, however, the chef has his methods. After making his mark with RRG, Ledesma was itching to get his hands on his next project. An opportunity came up with owner Kunal Shah at Kabana Rooftop and he jumped at the chance. “We started doing pop-ups downstairs at Belle & James,” he said. 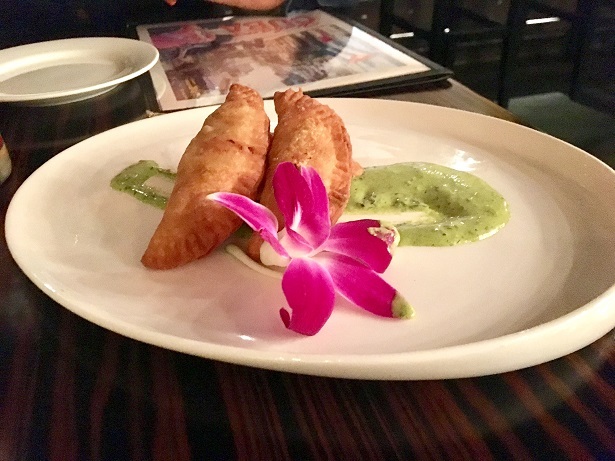 Shah and Ledesma created “Passport Pop-Ups” where the food focuses on different ingredients, recipes, and traditional cuisines from around the world. To date, they’ve sold out the a la carte pop-ups for the Philippines, Spain, and Cuba. He couldn’t give any specifics on the name, but said it would be a reflection of the cuisine, which he could only tell us would be “eclectic, but approachable” with an homage to Joy Gardens because of its 60-year history. The rustic/industrial restaurant is slated to open sometime in January or February. For aspiring chefs, Ledesma has some pretty straightforward advice. Ledesma’s pop-ups run Friday and Saturday nights. Editor’s Note: Since the magazine went to press, Ledesma has released more details about his restaurant. 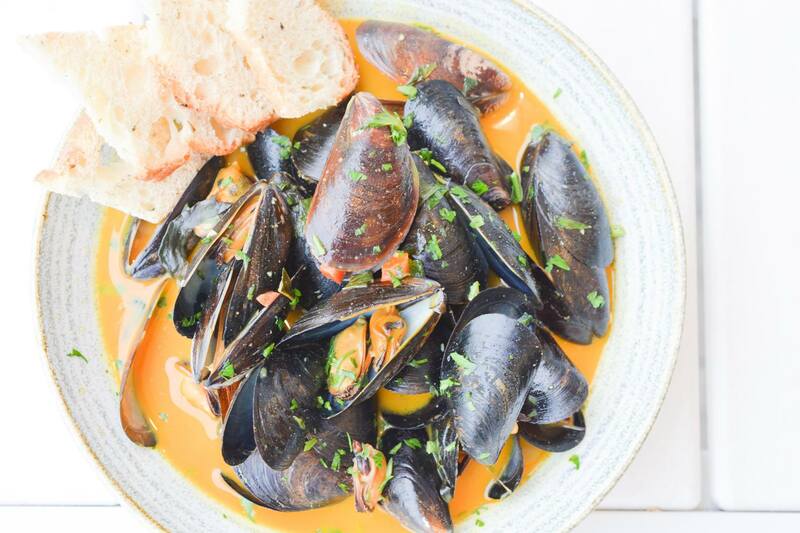 It will be called Perch and focus on Pacific-inspired flavors and Virginia comfort cuisine. It’s slated to open in February. Originally printed in RVA #30 FALL 2017, you can check out the issue HERE, or pick up your copy around town today. Maggie L. Walker, the first female bank president of any race to charter a bank in the United States, is getting her long-deserved recognition with her very own statue in Richmond. An unveiling ceremony and celebration for the highly debated monument will occur on Walker’s 153rd birthday, Saturday, July 15, at 10 am, at the intersection of West Broad and Adams streets, the entrance of historic Jackson Ward. Artist Antonio Tobias “Toby” Mendez, Mayor Levar Stoney, city officials, members of the Walker family, and more attend the ceremony. 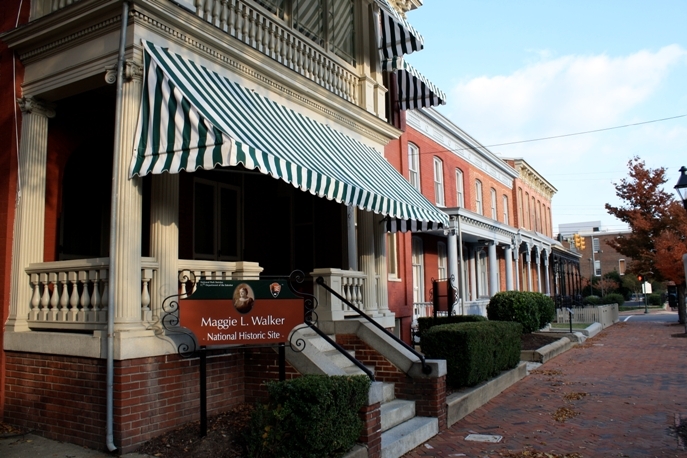 Walking tours of Jackson Ward by the Maggie L. Walker National Historic Site, led by Leadership Academy students, will begin at 11am from the statue, followed by a reception at the house. After the unveiling, attendees are encouraged to make a day around the neighborhood. Free trolley rides will be provided by Venture Richmond from RVA Trolley from Leigh to Belvidere to Marshall to 10th for the event. Many local business are participating in the event, offering giveaways, discounts, and more. Studio Two Three will have the S23 truck on site with giveaways. The Valentine will offer free admission to those who show an event program. The Black History Museum & Cultural Center will offer cookies and special Maggie L. Walker displays. Max’s on Broad will open early at 8am for the event. Bistro 27 will offer 10 percent off that day to those attending the event, and will be open for brunch starting at 10:30am and dinner at 5pm. Attendees are also encouraged to stop by Virginia Repertory Theatre to learn about the Walker Theatre, the first purpose built cinema in the area and the first public tribute to Maggie L. Walker in 1936. To learn more about Walker’s accomplishments, call the number listed on any of Untold RVA installations located between Adams and 2nd which will be up for the unveiling. The unveiling ceremony and following activities will occur rain or shine.